One aspect of motherhood that I'm keenly aware of is the number of times in a day that I tell my children No. No, you can't have cake for breakfast. No, you can't jump off of the back of the couch to see if you can fly. No, we can't go to the park in the pouring rain. And, as any mom knows, those are only the tip of the iceberg. But as much as I'm never going to give in and let my kids eat candy and cookies for every meal of the day, I'm happy when I'm introduced to a product that makes it possible to say yes to their requests, yet still feel good about it at the same time. That's where the newly formulated TruMoo Chocolate Milk comes in! TruMoo, the nation's leading ready-to-serve chocolate milk, is made with fresh white milk – sourced from regional dairies around the country – pure cocoa and just enough natural sugar to make it taste great. The new formula even contains 35% less total sugar than the leading chocolate milk competitor and 40% less added sugar than its previous formula. Considering that I knew my girls would be thrilled at the opportunity to have chocolate milk with their meal, I didn't wait to use the TruMoo store locator and find that there are a dozen stores within 5 miles of me that carry TruMoo. Talk about convenient! Available in gallons, half gallons, quarts and single serve (10-, 12-, 14-, and 16-ounce) bottles, I brought home the half gallon and, as I suspected, two certain someones' eyes grew wide as soon as they saw it. As the newly reformulated fat-free variety of TruMoo contains only 120 calories per serving and 6 grams of added sugar, I was happy knowing that I wasn't giving my kids a glass of something completely unhealthy. ...as well as hot or even frozen into popsicles! We've also heard that, as chocolate milk has double the carbohydrates and protein content, it is ideal for replenishing tired muscles — therefore there are athletes turning to TruMoo for a post-exercise recovery beverage! I haven't yet tried this, but the idea of kicking back with a glass of chocolate milk after a workout sure is appealing! All in all, we've been excited to have been introduced to TruMoo Chocolate Milk and, while I'm still not letting my kids jump off of the back of the couch, I'm glad knowing that I can occasionally say yes to their requests for the treat... even if they don't know that it's good for them at the same time! For more information, visit TruMoo.com and connect with them on Facebook and Twitter. 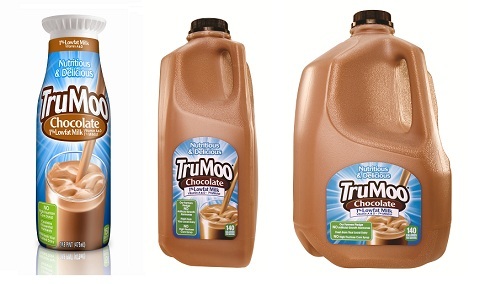 Keep an eye out for this tasty chocolate milk in the dairy case at your local grocery and convenience stores (TruMoo is also available at Wendy's locations from coast to coast) with a suggested retail price of $4.49 for a gallon, $2.99 for a half gallon and $1.49 for a single serve container. 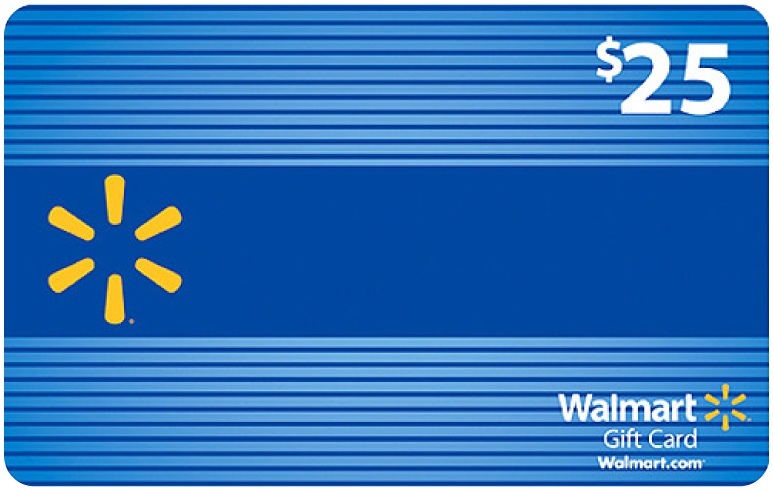 One lucky person will win a $25 Walmart eGift Card! A big thank you to TruMoo for providing a gift card for me as well as for one lucky giveaway winner. The opinions shared are my own and honest and if you really need to see more, click here to see how I roll. I have never tried it. We would like to all try it. We haven't tried it but I'm sure we'd like it! ive tried it in the past and it was delicious! I haven't tried it, but I want to. Family loves it and it's always on my grocery store list! my family loves TruMoo Chocolate Milk! 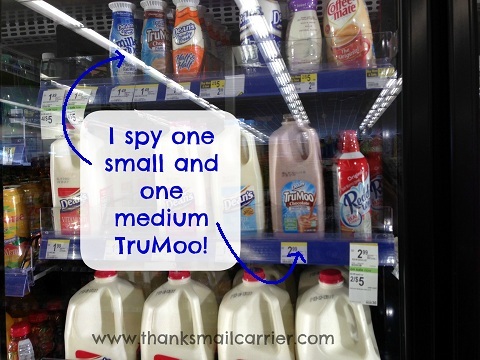 We have never even heard of TruMoo but love chocolate milk, so I would love to! We have not tried it but I know my little girl would love it. I have not tried it yet but it sounds delicious! Next time I go grocery shopping I'll keep my eyes open for this product. No, haven't tried it yet, but may try soon. I have seen it in the stores but not tried it. We haven't tried TruMoo,but we LOVE chocolate milk. I have never tried it but I think the kids might like it. We haven't tried it yet, would love to. We have never tried it but would like to do so. Haven't tried it before but would love to! We haven't tried it yet. But my kids have asked for to try it a few times!!!!! My boys love it!! It is a little too chocolaty for me, but the boys drink it a lot!! No we haven't tried it yet. Never tried but would like to. We have never tried it but would like to. never tried it, but we would all love it. We haven't tried it yet. My local grocery just had TruMoo chocolate milk on sale. I had go purchase another as it was "gone" before I could try it. The family consensus is that it is "very good"! We have triedT ruMoo Chocolate Milk yet. never tried it, we aren't big chocolate milk drinkers in this house. We haven't tried this yet, but my kids love chocolate milk. Will have to get some. We have not tried it, but will! I love chocolate milk. My grandchildren always ask for some when they come over. I have never tried TruMoo. We have tried it and the family loves it! My son would love to try it. My grandson drinks it and he loves it. I have tried it and it is amazing. My 2 year old is allergic to milk, so he doesn't drink it, but he can drink soy. We've never tried it, but would love to! This is the only chocolate milk we drink because it's made with no high fructose. woo-moo! We have tried Tru Moo chocolate milk and it is delicious. My family really likes it! We've never tried TruMoo Chocolate Milk but would like to. We'd love to try it! My boys love TruMoo Chocolate Milk. Have tried it... my boys love it! We haven't tried it YET - I will now. We haven't tried it yet, but would love to give it a try. My kids love chocolate milk and this sounds really great. My son tried it last week for the first time and I'm guessing he loved it because it was gone really fast. My stepfather's sons love TruMoo! We have tried it. It is delicious. Thanks for the giveaway! We have tried it and like it much better than other brands. I buy it quite often for my family and we think it's super yummy! We haven't tried it, but I bet my grandson would love it. I don't think anyone in my family has tried it yet. My family has tried it & absolutely loves it !! Though we LOVE chocolate milk, I am sorry to say we haven't tried it yet. All four are for it! WE have not tried TruMoo Chocolate Milk but it sounds great. Hope to try it soon. We have never tried it. but they all like chocolate milk a lot in our house . I will have to check it out. Yes, We have tried it and it is really good. My family loves TruMoo milk! We buy is often. I have never tried it but would like to. We haven't tried it, yet. But, my husband and son really love chocolate milk! We purchase Trumoo all the time. My family loves it. We have tried it! It's rich, creamy and delicious! My hubby loves it. My son and I share a bottle of TruMoo every Saturday at the grocery store! We've never tried it, but we love chocolate milk and would love to try it! My family and I have never tried it before but have been wanting to. Looks yummy! We love it and go through it so fast! Tried trumoo and love it! I haven't tried it, but I may! We have not tried it but would like to. We haven't tried it yet but it sounds yummy! We have not tried it but I think my son would like it. We have not tried it, but my son loves chocolate milk, so it definitely sounds like something he would like! We haven't tried it, but we'd definitely like to! We have not tried it! Next time I treat the kids to chocolate milk I think I will try this! 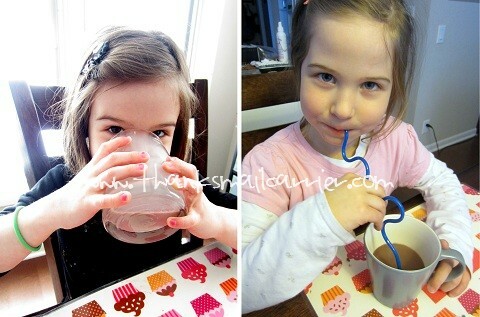 We have not tried it but my kids love chocolate milk so they would love to! we haven't tried it but would like to. No, they do not sell true moo in the store near us.. BUT a WALmart JUST opened, quite close by. I plan on visiting it, and I most certainly would try this milk. I have ONE kid here who will NOT drink milk unless it is chocolate. *sigh* Dont' judge.. I was one of these too. Around 7 years old, I began to just hate milk- only would drink it flavored. As an adult, I still just do not do milk at all. So I give the kid choco so at least she gets her milk. I've never tried it. Depends on the sugar/fat content. We have not tried it yet,but i would like to. 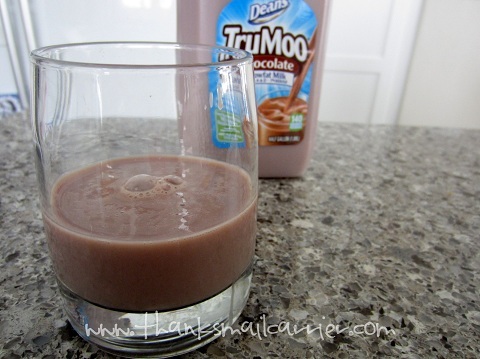 We have never tried truMoo but would like too my son loves chocolate milk! We've never tried it. I don't know if my store has it but I'll look next time. No we haven't tried TruMoo yet, but I'm going to get some for my daughter. We've never tried Tru Moo, but I know that my daughters would love to! I have not tried it but it looks good. We haven't tried it, but I would like my daughter to. Haven't tried it but would like to. I bought it for my daughter. Turned out I liked it too! Tried it, prefer a local brand. Never heard of it or tried it. We haven't tried it yet but I know we'd love to! We have not tried it but would love to! No we haven't tried it yet, but really want too. Especially now! We haven't tried TruMoo Chocolate Milk yet but my grandkids have asked for it specifically, so I will look for it next time I am at Walmart. We have not tried it, but I'd like to. We haven't tried TruMoo yet but it sounds good. I have never tried it. I would like to try it. We've tried it, and we all liked it! My family has tried Tru Moo and they love it!!! We've not tried it yet. . .
My husband loves chocolate milk. I like it too, but I rarely let myself have it. Love the idea of a healthier option. I haven't tried it but would love to! 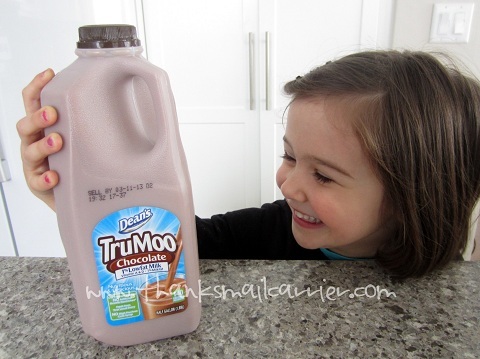 My kids love chocolate milk so I know they would love to try TruMoo Chocolate Milk. Tried it & we love it! The kiddos love TruMoo. It's on my grocery list every week. not yet, but it looks Delicious!! We haven't tried it, but it sounds good! I haven't tried TruMoo yet, but you've pretty much convinced me! We have not tried it yet but would love to! yes, we have tried it... I love drinking chocolate milk and so does my daughter... and it is really good! I actually haven't tried it with my family yet... but with less sugar, I am MORE than open to trying it now! We purchase it from time to time. My kids love it, but it's a treat so not so often. we love love love tru moo! We haven't tried this brand yet, but we love chocolate milk. I can't remember if we've tried TruMoo before or not. But, I think we'd like it. I have tried Trumoo many times and I love it. It's rich creamy and easy on the stomach. We have not tried this milk yet. We haven't tried it yet, but will soon. It's becoming aware of new products on blogs such as this that I love. We haven't tried it but it sure looks good! I tried tru moo in a Wendy's kids meal before. I love chocolate milk, so yes its great. we haven't tried it, but it looks good. We love it, the whole family does!!! We haven't tried that particular kind, but we really like chocolate milk!